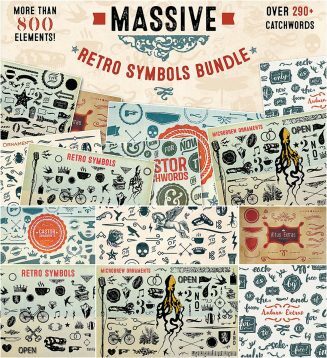 Set of 800+ retro elements and more than 290+ catchwords for your unique vintage designs. File format: .ai, .eps, .otf, .svg for Photoshop or other software. 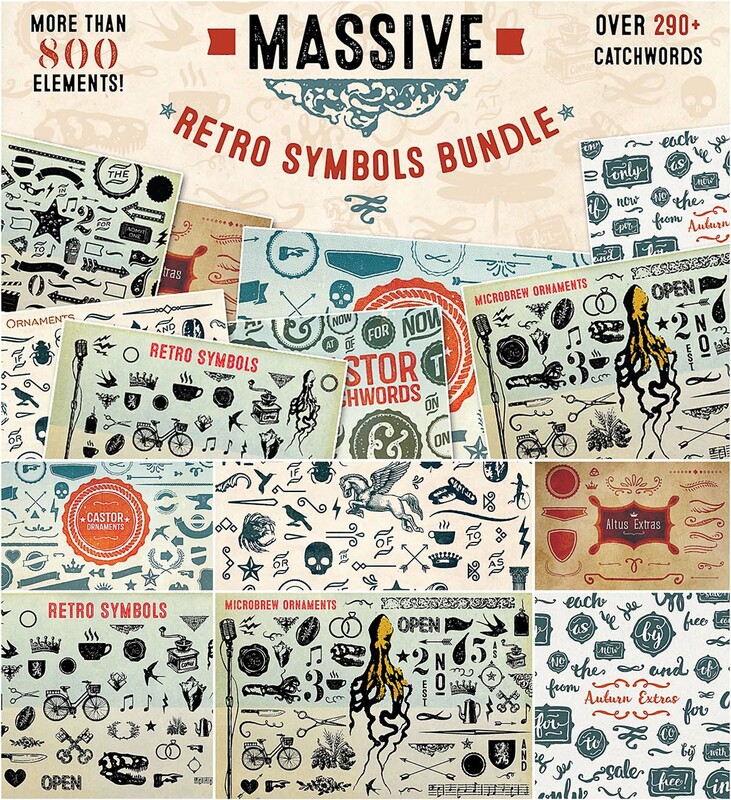 Tags: arrow, branding, catcher, flourish, grungy, symbol, vintage.